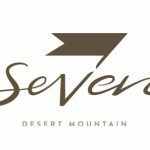 Desert Mountain Club has announced it will soon offer a new membership category called “Equity Seven Golf”. 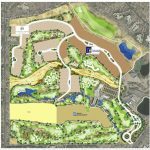 This membership is specifically for the new Seven golf course which is opening February, 2019. The Equity Seven Golf membership will be $30,000, with monthly dues of $995. 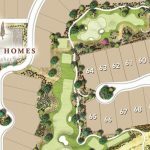 Members will have golf privileges at the Seven golf course and full access to all the clubhouses in Desert Mountain. This is an exciting new option at Desert Mountain. It is likely to be very popular amongst the homeowners in Seven. This new membership category will only be available to the Seven community homeowners and up to 50 current Desert Mountain members. Current Lifestyle members can upgrade to the Equity Seven Golf membership. Current Desert Mountain Golf members who want to move down to an Equity Seven Golf Membership must sell their Equity Golf Membership through the club. Considering these rules, I am sure several Lifestyle members will upgrade, but I doubt many Golf members will move down to the Seven membership. It is simply a long process to sell a current golf membership. Feel free to reach out to discuss golf memberships at any Scottsdale club. I sell homes in all of the finer golf communities in Scottsdale and keep my clients up to date on the prices of Scottsdale golf memberships on my website.